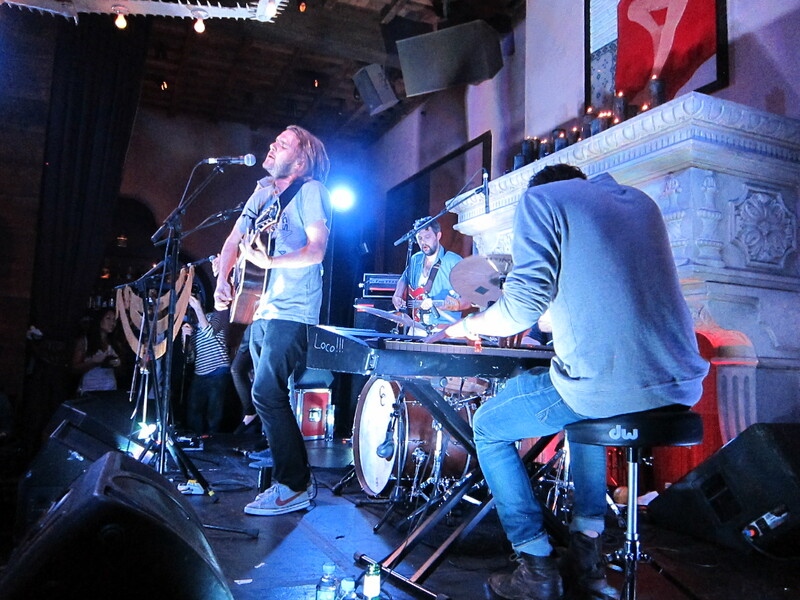 Last Monday, a few of us from the gcb saw The Head and The Heart at the Gramercy Park Hotel’s ultra-exclusive Rose Bar Session with about 100 people. The event was a stark contrast to the band’s sold out show at the 3,000 capacity Terminal 5 last Sunday, which I also checked out. But the response by the crowd at each of these events says something about The Head and The Heart. My guess is that many in the socialite crowd at Rose Bar knew little about the band before they were on the list. But by the end of the set, they were visibly made fans. At Terminal 5, the massive and mostly twenty-something crowd chanted song after song of the band’s ninety-minute set. Sure, they’re great musicians and performers…and they’re not bad looking. But as Jay Sweet noted in our interview following the band’s performance at last year’s Newport Folk Fest, it’s the authenticity of the band’s songs that wins the heads and hearts of their fans. The emotional rifts and deeply honest lyrics on the band’s self-titled and debut album (AmazonMP3 & Spotify) are easily relatable to anyone. Personally, the album was the soundtrack to my separation and divorce last year. “Coeur D’Alene” is a denial of the dreaded reality as something passes away. “Rivers and Roads” and “Honey Come Home” are pictures of how loss and the longing for the comforts of old settle in. “Down in the Valley” is one of the best images of addiction I’ve seen in modern music. “Lost in My Mind” outlines the desire to move forward amid the confusion and contradiction of internal and external voices. And the reflective “Heaven Go Easy on Me” offers a sense of that last pondering stage before someone moves on. What remains to be seen is if the band can follow the last album with another that moves fans in the same and powerful way this one did. Bands that get so popular so fast sometimes struggle to keep things going. Their set at Terminal 5 included more new songs than I had heard at previous shows. All were good, but we’ll see. See a few of pics that Vi shot at Rose Bar below. And here are a few more from someone else. All photos by Vi Luong.